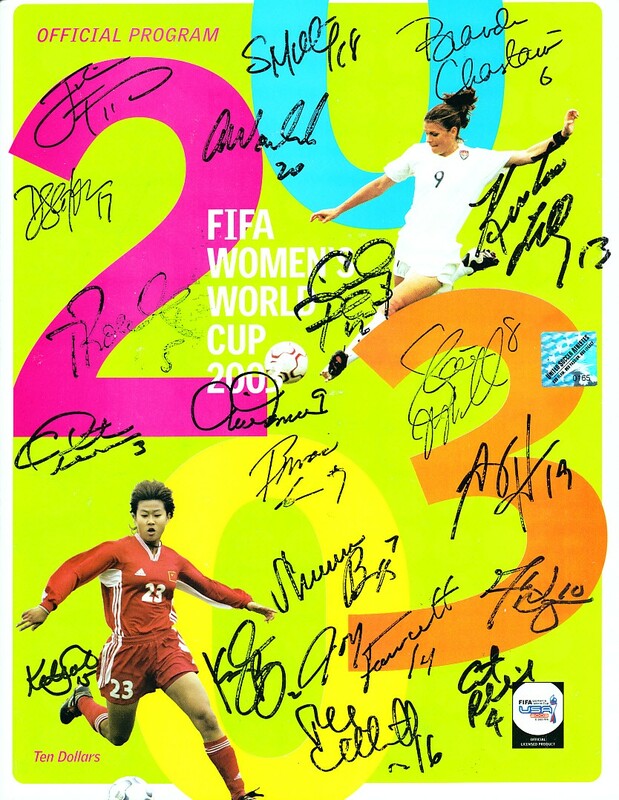 2003 FIFA U.S. Women's World Cup official program autographed on the cover by all 20 U.S. National Team members including Kylie Bivens, Shannon Boxx, Brandi Chastain, Joy Fawcett, Julie Foudy, Mia Hamm, Angela Hucles, Kristine Lilly, Shannon MacMillan, Tiffeny Milbrett, Siri Mullinix, Cindy Parlow, Christie (Pearce) Rampone, Cat Reddick, Tiffany Roberts, Briana Scurry, Danielle Slaton, Kate Sobrero, Aly Wagner and Abby Wambach. The U.S. finished in third place at this event. 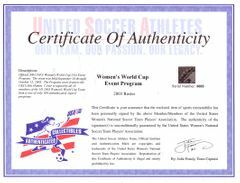 Authenticated by the U.S. Women's National Team Players Association, with their matching numbered holograms on the program and certificate of authenticity. 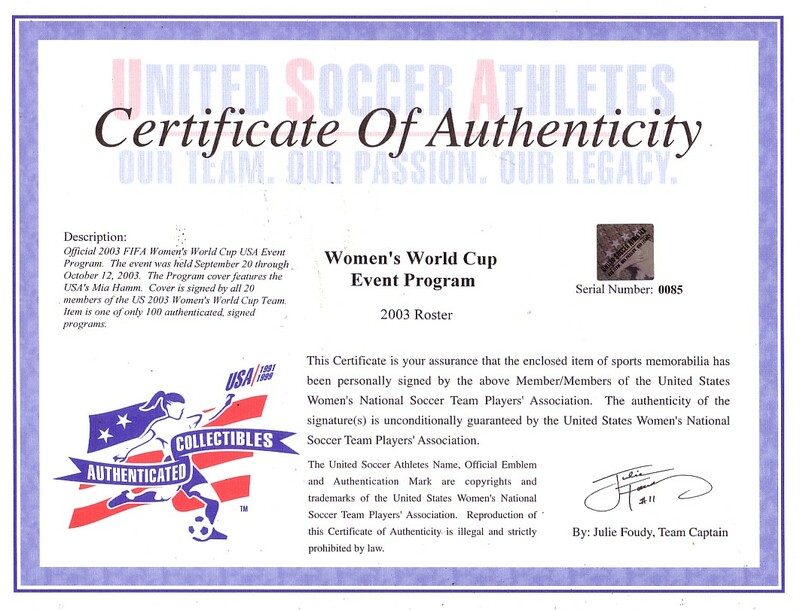 NOTE: many signatures have minor to moderate bubbling, rubbing, smearing, smudges or streaks. THIS IS THE EXACT PROGRAM YOU WOULD RECEIVE. ONLY 4 LEFT.